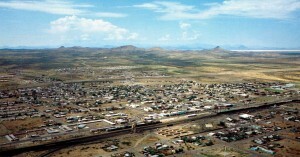 Lordsburg dates back to 1880, when the Southern Pacific Railroad came through from the west. 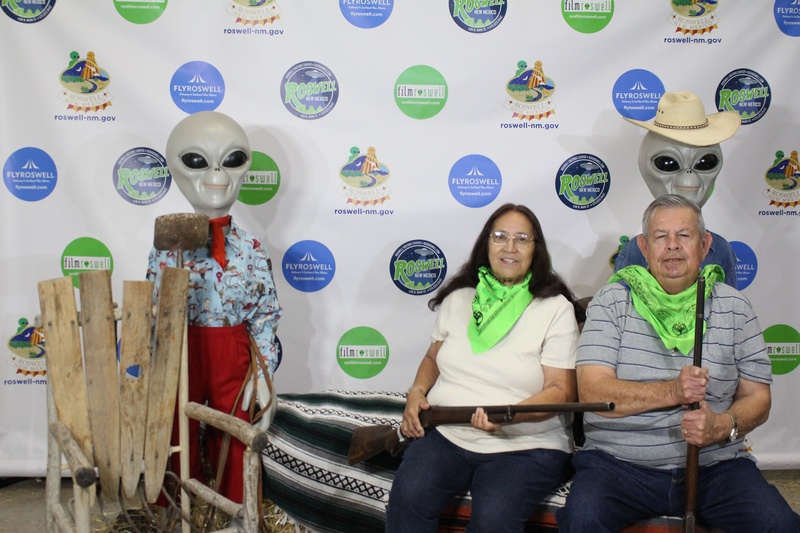 The original camp grew with an influx of railroad workers, freighters, miners, cowboys, ranchers, gamblers, and merchants. 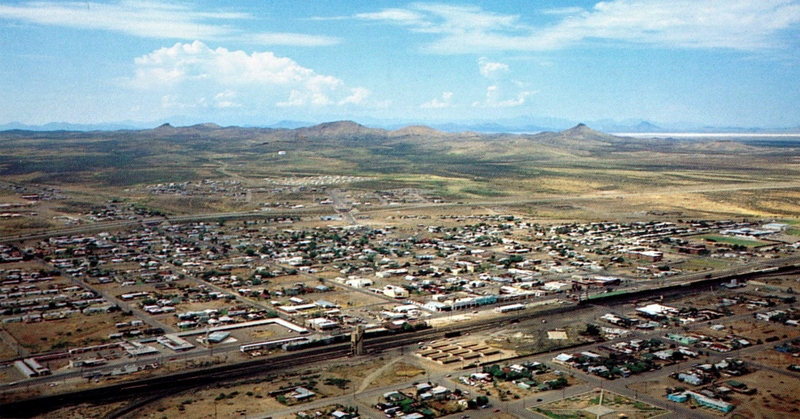 The town could have taken its name from Dr. Charles H. Lord, a New York native who came west during the Civil War and became one of Tucson’s leading businessmen. He and a partner started banking and wholesale businesses and shipped along the railroad. It could also have taken its name from Delbert Lord, Southern Pacific Railroad’s chief engineer during its construction. 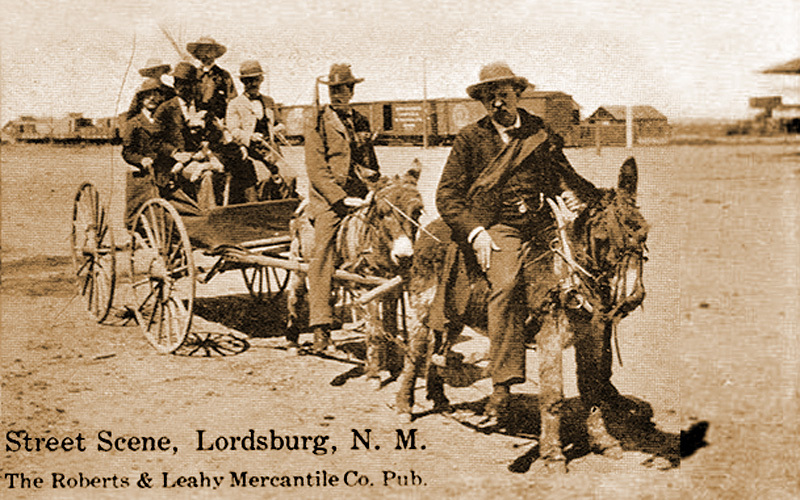 Lordsburg continued to be important in freight. Not only the SP Railroad, but the Butterfield Stage Route passed through Mexican Springs (what is now Shakespeare). 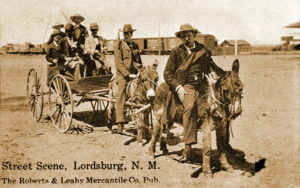 In 1858, John Butterfield created an overland mail and passenger company with up to 250 coaches, 1000 horses, 500 mules, and about 800 employees. 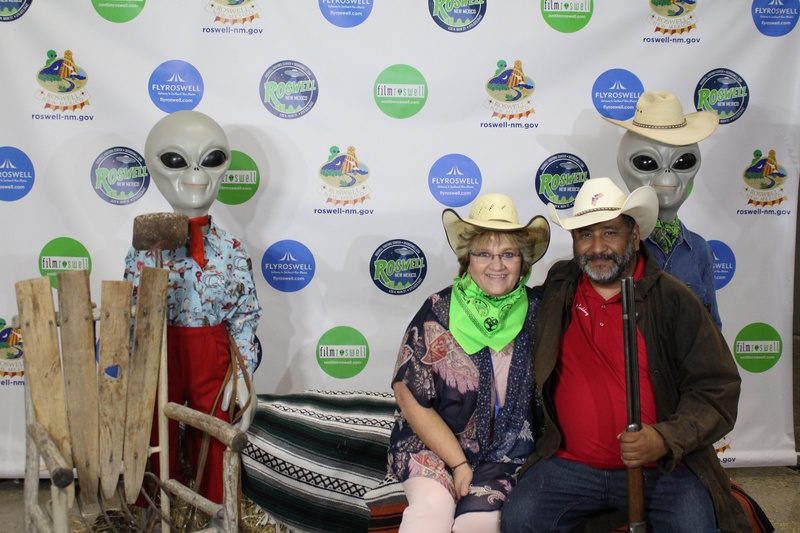 The Butterfield Stage Route avoided the more inclement weather farther north and ran through Steins Pass, Benson, Tucson, Yuma, and to San Francisco and Las Angeles. 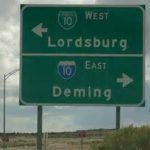 Lordsburg made its name as the stop at the junctions of Hwys 70 and 80, major roads in the state. 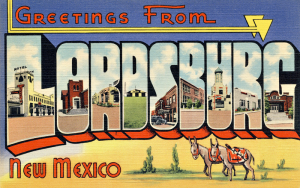 It was located on the “Broadway of America Highway” and in 1964, Lordsburg boasted 21 motels, 20 cafes and 31 service stations— biggest gas-food-and-lodging stop between Arizona and Texas. Later, I-10, the fourth longest Interstate Highway in the US (and the most southern) was established. 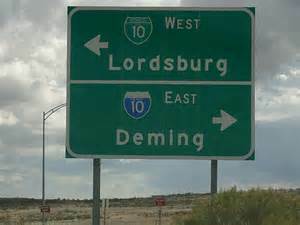 It resplaced US 80, established in 1926, renamed I-10 in 1989. It stretched from the Pacific Ocean at Santa Monica, California to the Atlantic Ocean at Jacksonville, Florida. 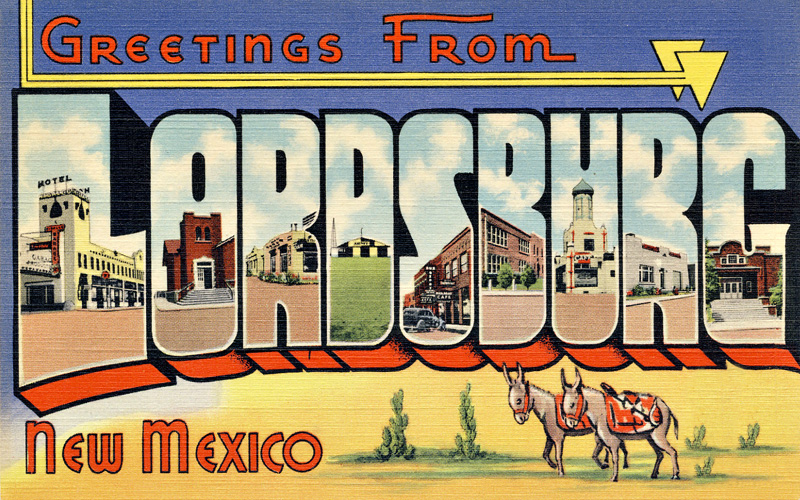 While it seemed like a boon for Lordsburg, travelers were eager to get to other destinations and whizzed right by. 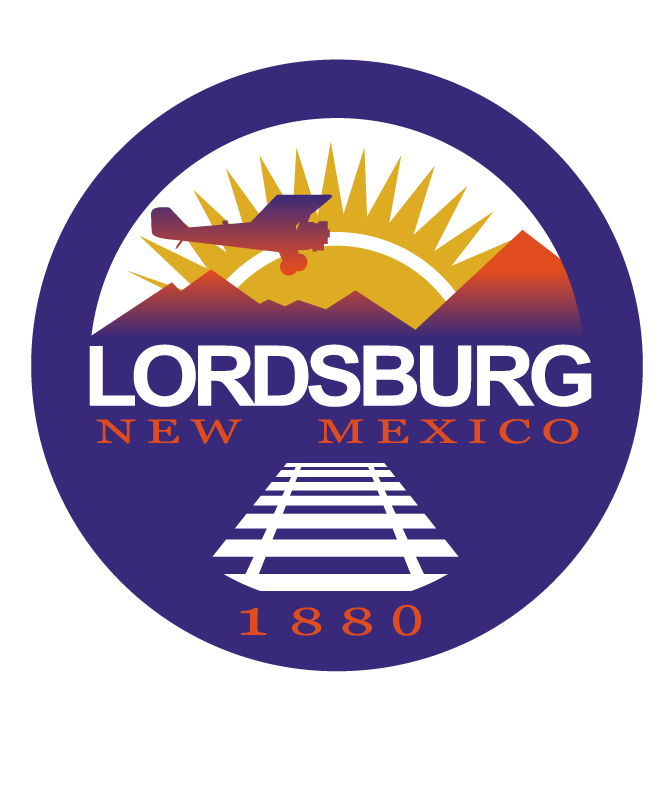 As cars got faster, more fuel efficient, and speed limits increased, Lordsburg began to decline. Motel Drive was listed by the Society of Commercial Archealogists as one of the top ten Most Endangered Roadside Places in the US.